The LIAS project is focused on bringing a definition of engaged learning and quality OST programming resources. In this interview with Carol Tang, Director of the Coalition for Science After School, we discuss how LIAS might serve the STEM movement. Dr. Tang was a speaker at our first How Kids Learn conference 2012. Q: Can you explain the new emphasis on and popularity of the introduction of STEM activities in and outside of the classroom? A: There is a growing uneasiness that while much of our economic future is dependent upon scientific and technological innovation, we are not seeing the numbers of young people pursuing these fields of study. It's been reported that even while unemployment rates are high, there are thousands of jobs unfilled because of the lack of applicants with the requisite technical and math skills. But I think there is also an urgency that is not related to economics alone: I would argue that many of our global challenges need scientific solutions and young people need to have the tools to think critically about these challenges and the solutions. Q: Some say that out-of-school time programs are uniquely positioned to offer engaging STEM activities. Do you believe this to be the case? And if so, why? A: First, I think we have to be honest and admit that students in school are not receiving much science instruction anymore given other priorities. But I believe that the answer goes much deeper than that. 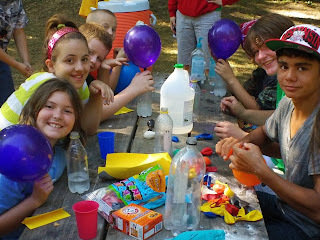 I truly believe that afterschool and summer programs are already aligned toward fostering student interests, providing hands-on experiences and are more tolerant of noisy and messy activities! As a paleontolgist and former geology professor, I know that the best science activities are ones which are open-ended, inspire more questions than answers, and encourage young people to work together. This should sound familiar to afterschool programs! Q: Given how rapidly STEM activities have been introduced, what have you seen about the quality of these activities? A: The good news is that many afterschool and summer programs really have embraced STEM and have not hesitated in trying things out. But as you suggest, sometimes the result is that the programming and educational materials selected are not matched well with the program's mission, strengths, staff skills or audience. Because many afterschool practitioners haven't had a chance to experience the best kind of STEM engagement themselves, they may not know what to look for when selecting activities or how best to implement them. The good news is that I've seen cases where afterschool staff who have participated in some training, are part of a learning community and who care about their performance can and do deliver high-quality activities right away. I also know that there are good science activities which were designed with a co-learning model in mind; in other words, they work well when the adult is discovering scientific principles along with the children through hands-on activities. Q: Can you briefly speak to the value of LIAS learning principles to the STEM movement? A: By coupling STEM with LIAS principles, we elevate the discussion about science afterschool--rather than debate which topics to cover, we can instead focus on the characteristics evident in high quality science programming. If youth workers embrace LIAS, they will understand the fundamental elements which will make STEM successful in their programs. In this way, we not only increase the quality of afterschool science but we can also foster an environment where science activities are sustainable in the long-term. Q: Can you speak a bit more about the need you have experienced for training on learning principles to guide the development of quality STEM activities? A: There is a misconception that STEM is about imparting a set of facts or concepts. Thus, training staff on effective learning principles in general is a way to guide the selection, development, and implementation of high quality STEM activities. If youth workers can recognize the factors which promote active engagement and learning, then they can select science activities which engage youth and foster scientific skills--such as asking good questions, sharing ideas and testing hypotheses. Q: The LIAS principles stress the importance of learning activities that are active and hands-on, collaborative in nature, meaningful to the participants, support a growing mastery, and expand young people's horizons. Do you think that any particular principles are important to STEM or are they all fully relevant to implementing STEM activities? A: I think all of the LIAS principles are relevant to STEM and reflect the reality of the practice of science. Instead of the stereotypical "mad scientist" working alone to destroy the world, real scientists often work in teams to conduct hands-on experiments which have relevance to the world around us. And we know that we cannot inspire the next generation of scientists without giving them skills and helping them see that they can succeed as scientists. So all are relevant and taken holistically, I think it breaks the stereotype that science learning only comes from a textbook and an exam. One would hope that someday these principles could be used for guiding classroom science education as well. But, at the same time, I don't believe that every afterschool program needs to emphasize all five principles equally in order to be successful with STEM. The key is to identify which elements you can successfully implement given the unique factors in your own program. For example, a high-quality STEM program could just consist of bringing in a role model to help expand youth's career perspectives--it fits the LIAS principles and it's a key component for encouraging young people to pursue science. The key is to be intentional about implementation, be true to your organization's mission and strengths, and do what's best for the young people you serve. 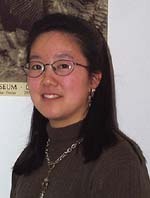 Carol Tang is currently the Director of the Coalition for Science After School, hosted by the Lawrence Hall of Science at U.C. Berkeley. In this position, she facilitates strategic partnerships to increase the quality and quantity of science education in out-of-school time learning environments. Before entering the informal science education field, she was a paleontology professor at Arizona State University. Carol spent the last ten years at the California Academy of Sciences in San Francisco.